Lil Kim is in the crosshairs of the LAPD after her crew allegedly robbed a woman over a BET party house ... TMZ has learned. Law enforcement sources tell us, Kim rented a house for a BET weekend party but apparently the crib was not to her liking. We're told Sunday at 2 AM Kim and her crew went to check out the house, didn't like it and demanded their money back from either the owner or property manager. The money wasn't forthcoming, an argument erupted and cops were called. Police arrived and told them it was a civil matter and they could do nothing ... so they left. We're told Kim and her crew also left, but at 4 AM, a group of people showed up at the house with ski masks and weapons and got what they were after ... Kim's deposit check and cash, totaling at least $20k. Law enforcement sources say the robbers weren't done ... they also slashed all of the victim's tires and stole a hubcap. The LAPD has launched a robbery investigation. We reached out to Kim's people ... so far, no word back. 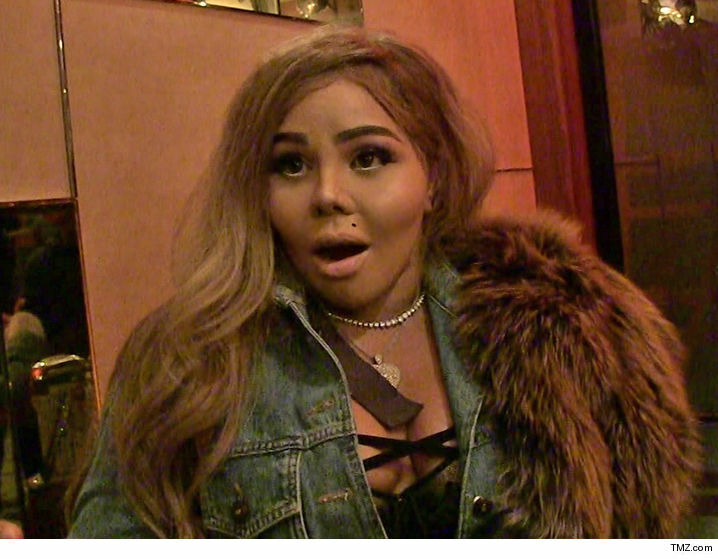 Lil' Kim -- No Dough? No Show!